Home » POLITICS , Politics News , Politics Today » 2019 presidency: After debates what next? Two Saturday’s ago, the grand stage was set for the Presidential debate, which was yet another opportunity for the leading candidates to discuss the key governance ideas driving their respective ambitions. For the fresh faces in the race, it was a much coveted national moment, a time to assail the record of the establishment politicians, while pitching their own key points for policy formulation and implementation. In line with their strategic calculations to discredit the current establishment elite, the so-called new breed politicians craved for a big national debating stage, which would serve as a platform to make the call for action on the need for a generational shift in the politics of Nigeria. The establishment political parties were therefore much more interested in pragmatic calculations, which would swing the pendulum of political power in their direction. The APC and the PDP saw the debates, not in terms of bringing forward new ideas, which would radically alter the direction of governance. The two major camps saw the debate as a continuation of the adversarial catfight to determine who gets the maximum political advantage. As if to confirm the comments of the establishment parties, which basically imply that they stand no chance in the race to win the Presidency, some of the new breed politicians began considering a withdrawal from the race. Last week, Presidential candidate of the Allied Congress Party of Nigeria (ACPN) Oby Ezekwesili dramatically withdrew from the Presidential race. It was a move that jolted supporters and political observers alike because it called to question the seriousness of the presidential project all along. The fact that her party went on to immediately declare support for the re-election of President Buhari equally gave the impression that the new breed actors were merely serving as proxy candidates of the establishment parties. Added to this is Ezekwesili’s new found push for a coalition, which is being viewed as yet another distraction, given the fact that the election is just less than three weeks away. What appears like the meltdown, and incoherent coalition chatter in the camp of the new breed politicians notwithstanding, the debate-dodging strategy of the major parties is still in the public spotlight. 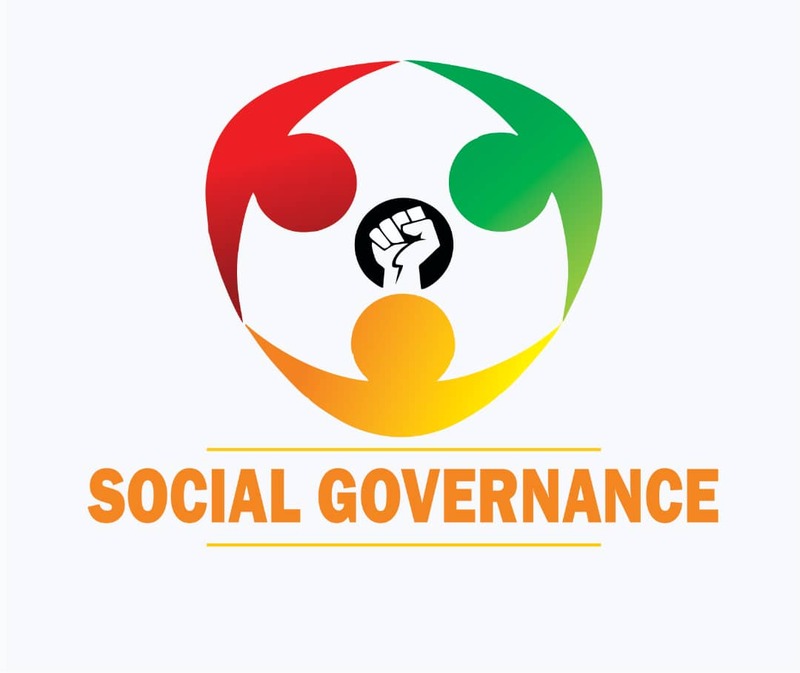 The major direct messages on governance were provided by the new breed politicians because they still went ahead to have a robust conversation on the fundamental issue of how to change the direction of governance. Both in their policy documents, and through the debates, the candidates from the fringe parties have contributed some important ideas, which should not end at the debating podium. For the two major candidates who refused to show up, there could be wisdom in taking a look at the specific solutions, which have been put forward by the new generation of politicians. This becomes a compelling point because democracy and the democratic process present opportunities for a society to renew itself. If as with the case in Nigeria, that renewal in terms of a generational shift in politics is not possible immediately, the idea would be to explore other options for renewal. One way could be to bring on board fresh policies capable of changing the impact of governance. For instance, Kingsley Moghalu, who says he still in the race, and packs a lot of valuable experience as a former Deputy Governor of the Central Bank of Nigeria (CBN) and an international development expert, reeled off some interesting ideas during the debate around how to solve some major issues facing the country. On the much talked about diversification of the economy, Moghalu, who is running on the platform of the Young Democratic Party (YPP) talks about the need to tap into the ICT revolution to create opportunities in the rural areas. His thesis is that the non oil sector would be an immediate beneficiary of such a move, just as the jobs created would impact the most vulnerable citizens who live in the far flung rural communities of the country. On his part, Fela Durotoye of the Alliance for New Nigeria (ANN) was very vocal about the need to push the cultivation of Nigeria’s arable land from what he describes as the current 37 percent to 50 percent. What that implies is a serious expansion in the agriculture sector, and a giant leap in terms of jobs. Significantly, the ideas, which have come from the ‘outsiders’ in the 2019 presidential race, if taken up and implemented by the eventual victor in the election, could help improve the fortunes of the country in certain critical areas. This point is important because one common thread running through the messages pitched by the candidates who debated was the need to urgently revamp the economy. Therefore, no matter the limitations of their candidacy, in terms of not possessing the solid political structures to cause an upset, the new breed politicians must have also done some observation and consultation to understand the issues affecting the Nigerian people the most. Another reason the ideas put on the table through the debate podium must not be overlooked is that the candidates have presented their solutions on the basis of the diversity of their experiences. For the ruling APC, the economy has remained the Achilles heel due to the slow performance that has been experienced, in addition to the job losses many citizens have experienced. As the APC grapples with the task of fixing the economy, if it is triumphant in 2019, it should not shy away from embracing productive and effective ideas, which could help solve the problems. The ruling party can also pick a thing or two from the strategies being canvassed by the politicians anchoring their aspirations on the call for a new leadership paradigm for Nigeria. Also, the party in charge of government, if it gets elected next month, cannot overlook suggestions that have been made relating to how to revamp Nigeria’s security architecture to enable it respond to the many threats the nation faces on a daily basis. Interestingly, the idea is that one party may not have all the answers to the challenges; after the elections, it would be helpful for government to sit back, reflect and pick up some of the practical ideas and strategies, which have been distilled from the campaign trail. Therefore, irrespective of the modest gains made by the government in power, the reality is that there are a lot of areas requiring attention. There will be a lot of benefit for the Nigerian system with the realization that no government or party has the monopoly of wisdom and ideas to fix the country. Part of the reason for the abandonment of ideas distilled through debates and conversation during the electioneering period, would be found in the zero sum nature of Nigeria’s political system. The fact of the winner taking all, no matter how good the ideas of the loser are, makes it difficult to find an accommodation for useful points, which have been made in the course of discussing the future of the country. Bi-partisanship is required in a lot of respect, especially when it comes to ensuring government delivers the best social goods for the vast majority of the people. Atiku’s diagnosis is that the problem comes from President Buhari’s habitual travel abroad where he allegedly de-markets his own nation and its economy. He said: “It is further exacerbated when that same leader stubbornly blames his predecessors for problems he caused, while at the same time taking credit for achievements and progress initiated and delivered by those same leaders he makes a habit of denigrating. Economic challenges will bow only to proper agenda.” In a recent statement, the former Vice President goes on to blame the incumbent for focusing more on propaganda, which he says has no effect on the economic problems, and will only make a bad situation worse. As for his idea for addressing the problem, the PDP flag bearer vows that if elected President, he would be Nigeria’s Chief Marketing Officer. Although, the solution put forward, the idea of the President being the nation’s chief marketing officer, is short on specifics on how exactly this would translate to investment inflows, the idea raises a point on the need for whoever wins to effectively brand the country whenever he or she is in the international arena. On the flipside, the Buhari and the APC have tended to anchor their push for an improvement in the fortunes of the economy on ensuring the business environment becomes friendly and conducive for investors. This is probably the reason why the APC has tried to draw attention to Nigeria’s improvement in the World Bank Ease of Doing Business rankings. In the ranking released last October, Nigeria placed 146 out of 190 countries. The reality is that any agenda to revamp the economy would have put such gains in the proper perspective. For there to be progress, any of the partisan camps, which wins the context come February 16, would have to ask deep questions about how to explore the benefits in such modest progress. Any party that wins, if it is serious about making impact would need to find ways to understand what even an opponent has done well, by ensuring such milestones translate to real benefit for the ordinary citizen. One of the major lessons to learn from the 2019 campaign is that partisanship after the electoral contests are won or lost should be geared towards an improvement of the system. All partisan camps are supposed to be driven by the ideals enunciated in the fundamental objectives and directive principles of state policy of the 1999 Constitution as amended.